Dovecot is a landmark centre for contemporary art, craft and design built around a leading international tapestry studio. Occupying an extraordinary building in the heart of Edinburgh, Dovecot works to programme, commission and produce exhibitions and events for audiences and clients who share a passion for making and the creative arts. This unique venue offers more than just a space; it is an environment with a creative backdrop and intriguing history which provokes thought and inspires visitors. 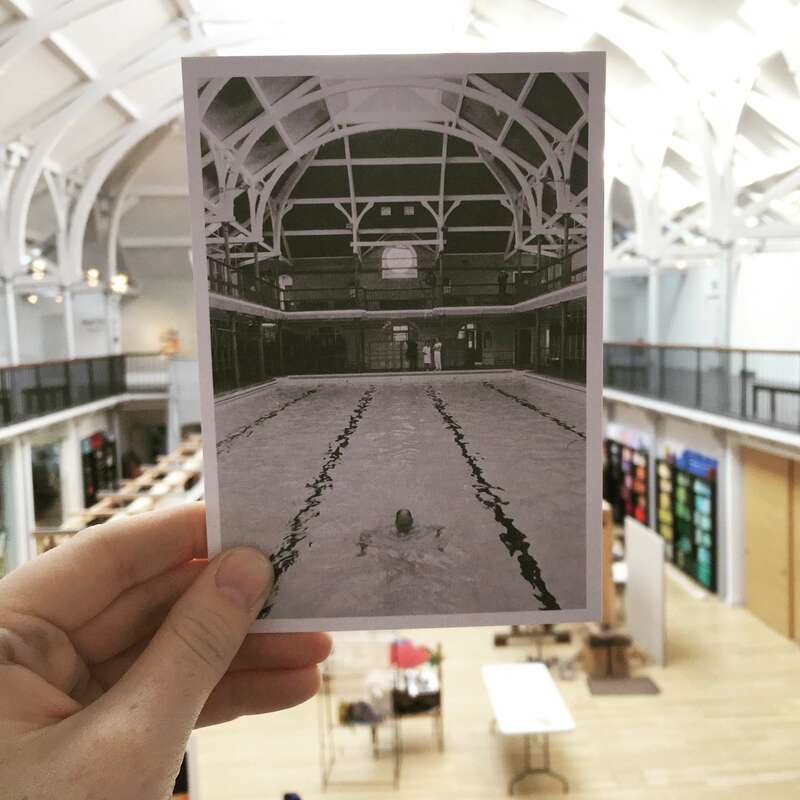 A rich array of tapestry projects, collaborations and partnerships have come to fruition in this beautifully restored Victorian swimming baths building since Dovecot Tapestry Studio was rehoused here in 2008. Prior to the £12 million refurbishment in 2008, what did the building, now home to Dovecot Studios, used to be? How to enter: Simply email your answer to UVE by the competition deadline of 28 February 2018. Terms and conditions: The winning entry will receive a Dovecot tote bag with a selection of postcards. A member of the Dovecot Studios team will be in contact with the winner to arrange delivery or collection of the prize. The sponsoring venues reserve the right to change these terms and conditions.